Millions of people around the world prefer to make their payments via online banking as it is reliable, convenient and incredibly secure. But it is rarely used as a deposit or withdrawal method in online casinos because many players find it uncomfortable to share their banking details on the Internet. A rare exception is Nordea and its online banking service, in particular, which is accepted by some of the largest and most reputable gambling operators today. Nordea is one of the biggest and the oldest banking groups in the world, dating back to 1820 when its predecessor was established in Denmark. For nearly two centuries, it has grown and evolved, adding more financial institutions to its family and introducing new services and products designed specifically for its individual and corporate clients. Today, the company incorporates a vast number of banks, which were around 300 institutions in the 1970s but gradually merged into a single entity, now known by the brand name Nordea. Clearly, Nordea is a trustworthy and respected name in the financial world – this is the largest bank institution in the Nordic counties and the largest Internet bank measured by payments. Its online banking service is called Netbank and is currently among the most popular payment services for casino fans based mainly in Denmark, Sweden, Norway, and Finland. It allows them to easily and securely fund their gaming balances within seconds as long as they have an online banking account at Nordea. 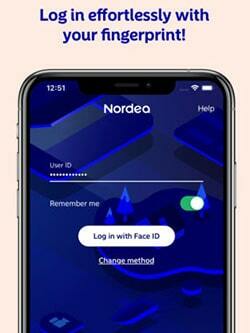 As one of the largest financial groups in Europe, Nordea offers its customers a wide range of services and payment products such as card payments, mobile apps, e-wallets, etc. However, nearly all web-based casinos that offer Nordea are focusing exclusively on its online banking service Netbank. All customers of the bank are eligible for it and even those who do not have a banking account in one of its regional branches can directly apply online for a Netbank account. The registration process is quite simple and once it is complete, the customer receives login credentials, called NemID. The NemID consists of a user ID, a password, and a code card or a code generation device. Several codes are used for each transaction, including the Access Code, which identifies each individual payment, and a Confirmation Code, which authorizes the transaction. In order to deposit funds into your casino balance, you need to make sure that the platform accepts Nordea payments. The service may be displayed as Nordea, Netback, or simply as Online Banking. After choosing the method from the list of supported payments, you will be redirected to the Nordea login page – often, this is the online banking page of your local bank. You will be asked for your login credentials, which may vary depending on your country of residence. Then, you need to specify the amount of your deposit and confirm the payment. The funds will appear in your casino account immediately and no additional fees will be charged. Currently, Nordea’s online banking service cannot be used for withdrawing from a casino balance. Players who wish to cash out their winnings will need to find an alternative withdrawal method – a credit or debit card, a digital wallet, or a wire transfer. It is also possible for customers to use a separate payment service provider in order to get their winnings directly into their bank accounts. These are the so-called instant bank transfer services, which function like intermediaries between the casino and the bank and carry out transactions to and from the online banking account in real time. There are many services of this kind but most of them are country or region-specific. Nordea’s Netbank service is a great solution for anyone who looks for a fast, convenient and secure way to fund their online casino balance. Of course, there are certain setbacks to this option and casino players should know them before choosing Netbank for their gambling activities on the Internet. First of all, it is important to say that although the financial services group is constantly expanding its presence and is now available in the Baltic region, the United States, and China, Netbank can be used for casino deposits by residents of only several countries in Northern Europe. Another crucial disadvantage of using the service for gambling online is the fact that it does not support withdrawals from casinos to the customer’s bank account. In fact, very few casinos can process withdrawals to their members’ online banking accounts and often, these transactions are canceled by the banks due to strict anti-gambling regulations and corporate policies. This is why it should not come as a surprise that Netbank is good for deposits only. Yet, most casino players would agree that the positives outweigh the negatives. When comparing the pros and cons of a certain payment method, they should always focus on its reliability and security – are the payments made through this method are protected and secured? Could the transaction be canceled by the bank? When it comes to Nordea’s online banking service, it is currently one of the most secure casino deposit methods available. You can rely on Netbank deposits to always arrive and to appear in your casino balance within a few minutes. In terms of security, these transfers use several tiers of protection and it is highly unlikely your funds or personal information to be stolen. The bank provides its customers with a complex, sophisticated security system that may, indeed, seem a bit too much for some casino players but it is, in fact, quite standard across Scandinavia. The use of additional one-time codes makes fraud and identity theft practically impossible unless the customer gives access to the Access Code. The convenience and ease of use of Nordea are what make it so popular among Scandinavian casino players. Once they have a Netbank account, they can make a successful transaction to their gaming balance within minutes. The process is extremely simple and does not require filling up online payment forms and entering your entire personal and banking information – all this is stored safely and conveniently in your Netbank account. Moreover, the deposits carried out via this payment method are instantaneous and you can start playing your favorite casino games immediately. The lack of processing fees is also a great advantage. In comparison, many banks would charge online transfers a fee, which makes casino gaming over the Internet less exciting and less cost-effective for most players. Of course, there are some small fees associated with the use of the online account, but these are only for transfers in a currency different from the one you have already registered or for international payments. The last thing to consider before choosing a method for depositing funds into your casino balance is the wide variety of payment and financial products Nordea actually offers. Most of them are available to all Netbank account holders and include Mastercard and Visa cards, a digital wallet, and several mobile payment apps. The fees and hidden costs of each and every payment method should be reviewed carefully before committing yourself to a long-term agreement with a certain bank or payment services provider. This, of course, applies mostly to payment methods that support withdrawals from casino sites as these transfers are typically more expensive than deposits. With credit and debit cards, as well as with bank accounts, customers are usually required to pay annual or monthly fees, a processing fee, which is imposed on each transaction, and a currency exchange fee in case they make payments in different currencies. There are also often additional costs for services such as SMS notifications, ATM withdrawals, international transactions, etc. As mentioned above, casino deposits via Netbank are free of charge, with the exception of deposits at a small number of casinos which would charge a fee for these transactions. There are, however, small fees customers should pay for the Access Codes if they wish to use their account on a regular basis. First, there is a one-time payment for these codes which is €50 and a monthly fee of €3. In addition, the bank charges international transfers and transactions in foreign currencies, but the exact fees vary greatly depending on the customer’s country of residence and the country of the receiver. Payments may also come with additional costs if they are made outside Nordea’s banking group. Casino players should always opt for payment methods that allow them to make fast deposits and withdrawals. The processing times of such transactions are very important – if the deposit is delayed, you will not be able to start your play right now. Withdrawals usually take between 2 and 5 business days, on average, although this also varies significantly across different payment processors and services. One of the best things about using Nordea’s online banking service is that it processes transactions in real time. Once you confirm your deposit, you will see the funds appearing in your casino balance within a few minutes. In comparison, bank wires usually take at least a few hours to reach your casino account. Sometimes, your deposit may take 2 or 3 business days, if it is transferred to a foreign casino. Another great perk of using Nordea’s Netbank for online casino gaming is that it allows players to make deposits directly from their mobile phone. 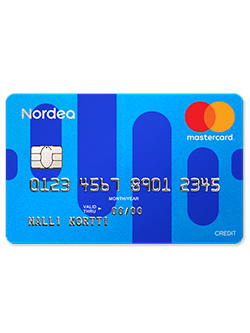 The company has introduced several different apps designed for the different needs of its business and individual customers – Nordea Codes, Nordea Markets Equity Research, Nordea Wallet, and Nordea First Card. Its mobile banking application, however, is available in different languages and can be used by the residents of the four Nordic countries where the service is most commonly used. These apps include Nordea Mobile – Sweden, Nordea Mobile – Finland, Nordea Mobile Bank – Denmark, and Nordea Mobilbank – Norway. They are available in the respective languages of these countries and in English. The applications support both the iOS and the Android platforms and can be downloaded for free from the App Store and Google Play. With Nordea’s mobile banking, casino players can easily fund their gaming accounts directly from their phone or tablet. They simply need to sign up for a Netbank account or sign in using their credentials and they will be able to make instant and simple payments, view their transactions history, manage their cards and additional Nordea products, pay bills, and many others. Casino players who decide to use Nordea’s online banking service for depositing into their gaming accounts can rely on secure transactions, regardless of what device they have been made. Usually, mobile payments are vulnerable, but the bank’s mobile applications feature additional security measures such as fingerprint login and Touch ID on iPhone and iPad, as well as Face ID. The biometrics authentication is optional, however, and customers can sign in to their account via the code app, their Netbank credentials, and their NemID. Nordea is dedicated to providing its customers with the highest levels of security, online or otherwise, and this is why it has added the extra protection of the unique Access Codes, which are used just once for a particular transaction. These security codes are generated separately via different means and as long as the customer does not share them with anyone, the transactions are protected against any kind of unauthorized access and fraud. Of course, the official websites of Nordea and Netbank, as well as all related online platforms use digital encryption in order to keep all financial transfers protected. The encryption also maintains the privacy of customers, as their personal and any other sensitive data remains confidential. The bank does not share any user data with third parties. Is Nordea’s online banking service safe? Yes, Netbank, the online banking service by Nordea, is exceptionally secure for paying bills, shopping online, and make deposits into gambling sites. Alongside industry-standard security measures such as digital encryption, the bank offers its customers enhanced online security through multi-factor authentication – in order to make a payment, they need something they are (the user ID seen by the bank), something they know (their password), and something they have (the one-time Access Codes). Is Netbank available to international casino players? While Nordea has branches in nearly 20 countries around the world, its online and mobile banking services can be used only by players from Denmark, Finland, Sweden, and Norway. In addition, some of the services and products are also available to Russian customers. Payments via Nordea are processed in EUR, GBP, USD, DKK, SEK, NOK, LTL, PLN, and SGD. How many transactions are available with the Access Code card? Once they register a Netbank account, casino players receive a card (physical or not), which contains the unique Access Codes. Each of them can be used for one payment only and initially, the card comes with 50 of these security cards. This means that players can make 50 deposits before they receive new Access Codes from Nordea. Can I use Nordea’s online banking service to withdraw my casino winnings? Unfortunately for casino players, Nordea’s online banking service cannot be used for withdrawals. Those who wish to cash their winnings from the site should consider some alternatives. These could be credit or debit cards, digital wallets, or bank wires. Some casinos also offer to pay you out via a courier check, but this method could take up to 20 business days to complete. What other services are available with the Netbank account? Casino players can take advantage of many additional services by Nordea once they set up a Netbank account. They can apply for housing loans, student credits, or FlexiCredit, and keep track of their balances and due dates on their current credits. In addition, Netbank customers can also open savings and investment accounts, trade in securities, make investments, receive up-to-date market information, manage their pension insurance, purchase virtual gift vouchers, and many others.